The Raven is all about performance. Her waterline length and planning hull provide for fun and excitement. 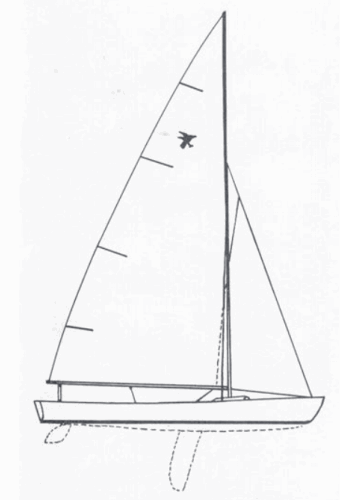 The boat can be sailed by two people but in moderate or heavy wind conditions you will need the weight of four people on the rail. For casual day sailing she has plenty of room for 6 adults. Although she is over 24 feet overall she very much performs like a dinghy. 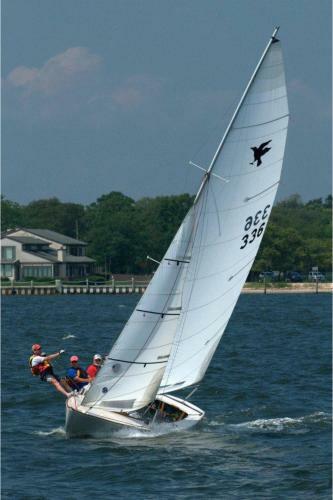 Quotations on additional items available upon request: Spinnaker Gear, Bottom Paint, etc.